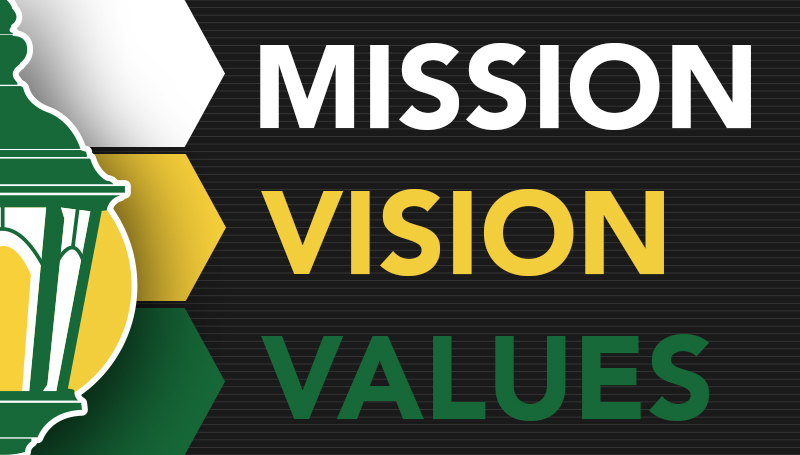 Following last fall’s series of stakeholder engagement sessions and online surveys, the university has unveiled its new mission, vision, and values. The results of the sessions and feedback from the surveys helped Missouri Southern’s Board of Governors shape a new strategic plan and come up with goals designed to chart a path forward for the university. The results were unveiled during the recent All-Employee Welcome Back meeting. Missouri Southern State University will be a leader in offering relevant undergraduate and graduate programs that fulfill the educational needs of each student. Missouri Southern State University will educate and graduate knowledgeable, responsible, successful global citizens.